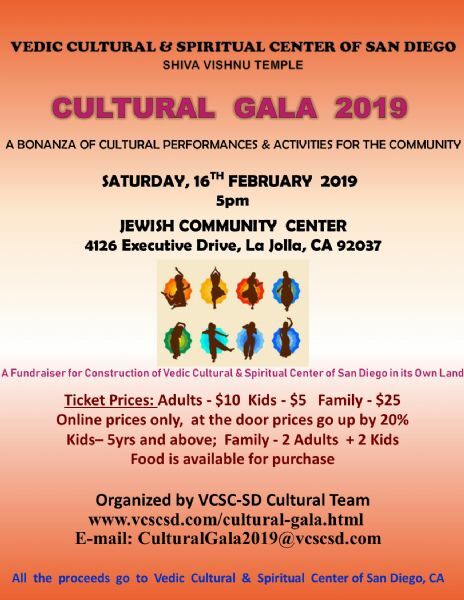 Please note Annual Cultural Gala 2019 occurred in past. A fun filled evening of multicultural performances and activities! 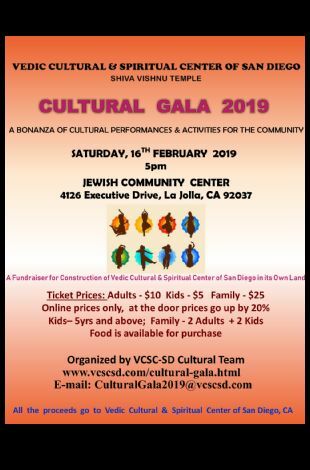 All proceeds go to the construction fund of the Vedic Cultural and Spiritual Centre of San Diego, to build Shiva Vishnu Temple and a state of the art community cultural center in its own land.